When a judge orders an arrest for someone, then the order is called a bench warrant. He or she usually issues these warrants if someone is charged with either a misdemeanor or felony offense and failed to appear at a court date. For more serious crimes, an arrest warrant is often issued. If you’ve been arrested for Failure to Appear, you need Attorney Dean Phillips to establish your defense. He’s knowledgeable about the acceptable reasons for which you can be excused from attending your court date. You can avoid being taken into custody if you contact the Clerk of Court of the county where your court date was scheduled or notify your local police department so that you can post bail. Afterward, your warrant should be recalled. If a bench warrant has been issued for your arrest, the police do not actively search for you. 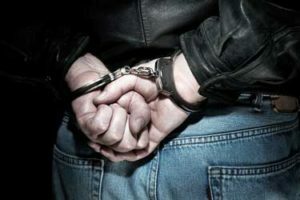 Law enforcement across the state will be notified of your bench warrant, and if you have any involvement with the police, an officer will take you into custody. This includes interactions for incidents that were not your fault such as an accident in which you were rear-ended. After you’re taken into custody, you can post bail for your release. Bail is your promise to the court that you will return for hearing and trial dates in exchange for avoiding jail. Usually any judicial officer or sheriff of the county where you incurred the charge can set the amount of your bail and collect it. Some charges will be bailable by a particular judicial officer. If you’ve committed a traffic violation and failed to appear for a court date specified on your citation, then your case will be given to a prosecuting attorney and a bench warrant for your arrest will be issued. The traffic violations bureau will no longer have jurisdiction over your case. If you fail to attend a court date, you may be charged with bail jumping, which can either be a misdemeanor or felony depending on the charges for which you were arrested. You may also be required to turn in your driver’s license, and the judge could issue a warrant for your arrest. Felony bail jumping can result in one to five years in prison and/or a fine of $5,000.00 or less. Misdemeanor bail jumping can result in a year or less of prison time and/or a fine of $1,000.00 or less. Misdemeanor out-of- state bail jumping applies to you if you fled the state and were charged with certain misdemeanor crimes. This can result in one to five years in prison and/or a fine between $1,000.00 and $5,000.00. Representation by Attorney Dean Phillips shows that you take your case seriously and that you are remorseful about failing to appear. He can help you build a defense and determine if you have valid reasons for attending your court date. Mr. Phillips can represent you if you failed to appear in Marietta, Cobb County, Paulding County, Bartow County, Acworth, Austell, Powder Springs, Smyrna, Kennesaw and Woodstock. For a free consultation for your criminal defense case, call 770-415-0933.